The 4-star Pierre and Vacances Mojacar Playa is on the stunning coast of Almería, between Almería and Murcia, just 60km from Cabo de Gata Natural Park. This is the ideal destination for water sports enthusiasts and golfers which plenty to do for the rest of the family too. Mojacar Playa Residence is located on the water front, where you can take full advantage of the waterfront activities with the trendy restaurants, fabulous bars and the all important children's playground. 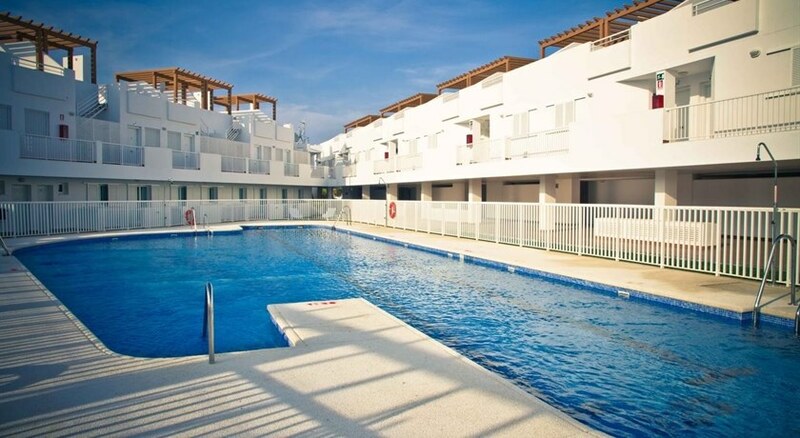 Pierre and Vacances Mojacar Playa offer beautiful modern beachfront holiday apartments, just 10 metres from Playa El Descargador, with spacious living areas and great sea views. Book a Spanish experience with comfort and style on this beautiful coastline – stay at the Mojacar Playa in Almería. Getting to the hotel: Almería Airport is 90km from the resort; Murcia-San Javier Airport is 135km and Alicante Airport is 200km. Local Tips: Right at the tip of Andalucía, located on the famous coast of Almería which boasts 300 days of sun per year, you will find the apartments halfway between Murcia and Almería. Mojácar is renowned for its wonderful beaches, wild creeks and protected Nature Reserves. Food, drink and entertainments: Self catering apartments with fully equipped kitchens and TV and entertainment centres; local restaurants, bars, shops and venues on the waterfront within walking distance. 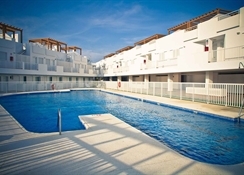 Sport, games and activities: 18-hole golf course, outdoor swimming pool and beach. Kayaks, sailing, wind surfing, snorkelling, surfing, and tennis is all available at local charge. The tennis courts are 1.7km away. Additional: Reception services, housekeeping, fax service, launderette, parking, WiFi at reception, pets welcome on request (rabies cert required), also available for purchase - Cleaning Kit, Baby Kit, Towel Package. 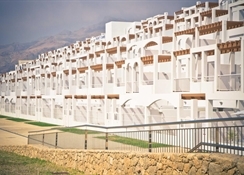 The guest apartments are of a high quality with good furnishings and fittings. Each offers a bathroom with bath or shower, balcony or terrace, well equipped kitchen with kettle, coffee machine, hob, oven, dishwasher, microwave and fridge, air-conditioning, personal safe (local charge), garden furniture, a hair dryer and television with national and international channels. Please collect your keys from reception. Please note that a deposit of 500 Euros is required upon arrival.